Guys, this is the bomb.com (see what I did there?) I love this product so much that I’ve already bought a backup. This post was not sponsored, nor did I receive any products for free..as usual I wish I did. 😆 All these items were purchased with my own funds! However, The Boston Bargainista is a participant in the Amazon Services LLC Associates Program, an affiliate advertising program designed to provide a means for sites to earn advertising fees by advertising and linking to Amazon.com. Other affiliate links are also present in this post. Your first question is probably: what the hell is an ampoule? An ampoule is essentially a serum with high concentration of whatever the active ingredients are (in this case, berry antioxidants.) They are meant to be used before an essence or serum in your skincare routine. This particular ampoule has a few different functions: you can put a light layer on as a moisturizer, or layer it and use as a sleeping pack. I usually use this before I sleep and leave it on, but occasionally I’ll use a drop to rid of dry patches after I put my makeup on. I’ve never tried it under makeup so I’m not quite sure how it would perform that way. 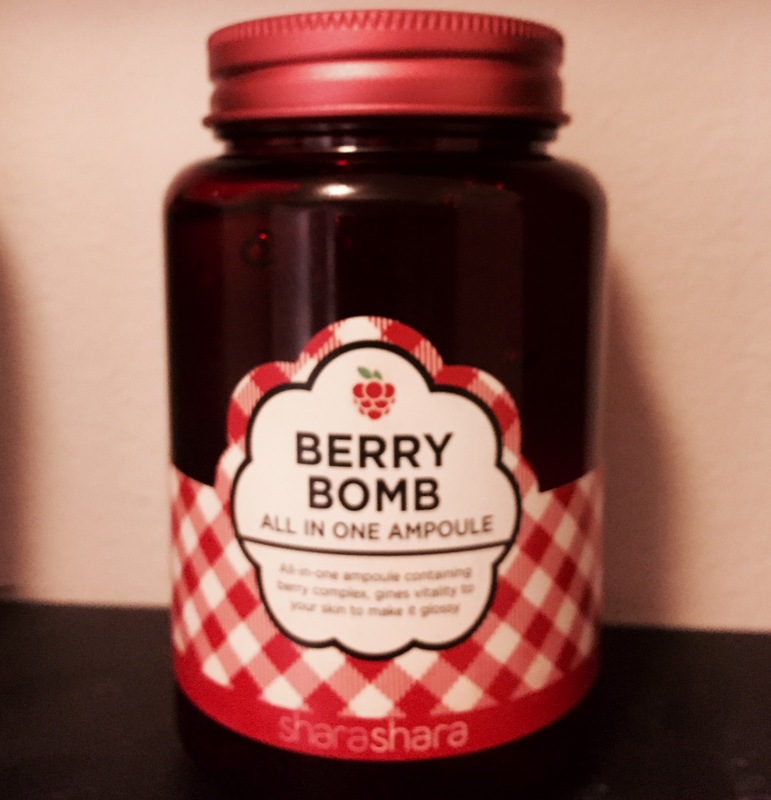 Because the berry bomb is loaded with antioxidants, it is supposed to help whiten skin, and provide anti-wrinkle care as well as a glow to your face. After I use this, my face is extremely soft the next morning. This version is watery, so it may be too moisturizing for those with troubled skin/acne prone skin. The honey version is better suited for those skin types. It absorbs into my skin within 10-15 mins, and it is not sticky. The smell has a faint scent of berries, but nothing strong at all. It may seem pricey, but with this stuff a little bit seriously goes a long way. Given it’s size (250 ml) it will last you a long time. I’ve barely put a dent in mine and I’ve been using it 2-3 times a week for the last month. The product is meant to be used up within two years. Because of the large size, the ampoule comes with a spatula. I recommend using this for hygiene reasons, and sanitizing the spatula after use with some alcohol. I got mine from Memebox.com. Occasionally, they have an entire Shara Shara box which I’ve scooped up before and I highly recommend. Below I will also link 20% off your first purchase of 25+. I’m dying to try the honey and aqua bomb versions, but I guess I should work through this one first. I’m super into ampoules. Do you have any to recommend? Thanks for reading, you guys are da bomb.